STEM Learning Launch NEW Online CPD for STEM Ambassadors! 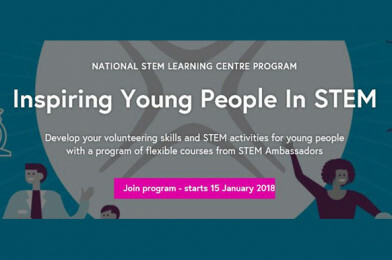 To celebrate International Volunteer Day, STEM Learning have launched their new online programme of online CPD. Courses are designed to support STEM Ambassadors in engaging and inspiring young people in STEM. Inspire a love of science, technology, engineering and maths in young people! Start your volunteering and learn how to make STEM activities relevant to a diverse range of young people. Learn how to plan and design STEM activities that are engaging and effective for young people. Improve your communication skills when presenting and carrying out STEM activities with young people.